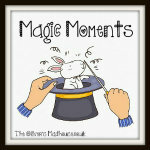 Jaime at Oliver’s Madhouse creates a Linky each week for us all to share our Magic Moments. These moments can be any moment that feels magical to you, however big or small. We have always struggled with Baby’s feet. 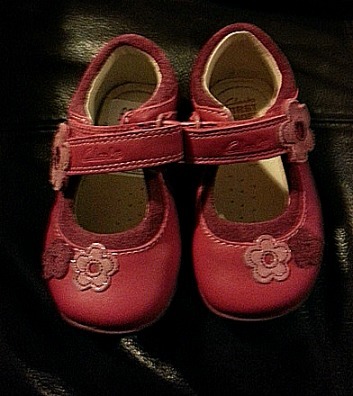 When she was about 2 months old she had ingrowing toenails, so the podiatrist recomended keeping her shoe free. This has sorted itself out, but she stands on her tip toes, right up on point. The doctor has said all is physically fine, but she likes to try to stand and struggles. I have tried cheap shoes and boots, but with most of them I struggle to even get them on, as I can’t get her heel down. So last weekend we took her to Clarks to be measured. She was a 3 1/2 G (although roomy). We found a pair we can easily get on (which is a miracle!) and then within a couple of minutes she had tried putting her heels down. She still favours her toes (although it is more balls than on point, but she seems on the right track). 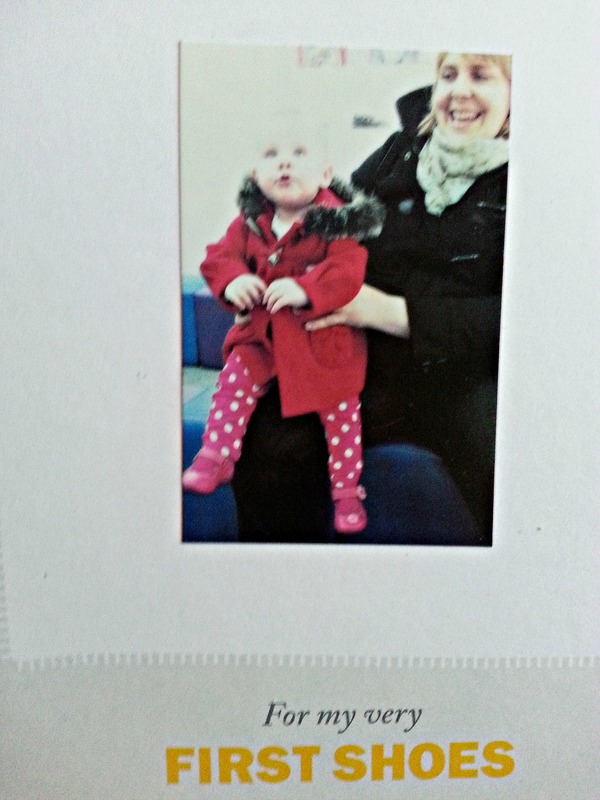 Very expensive, but worth it and super cute! 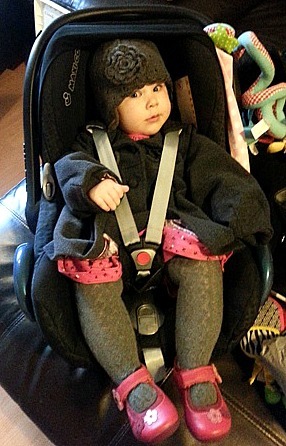 Aw that really is a magic moment – I still vividly remember getting GG’s first pair of shoes – precious! i know what your saying about price but these beauties are so super cute! !